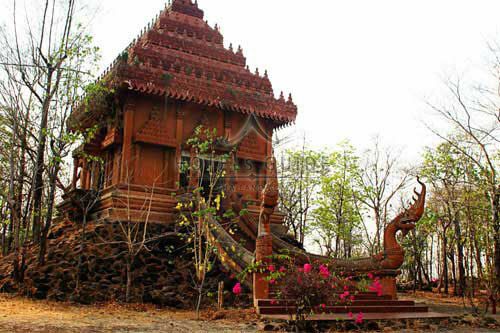 The Wat Khao Anghkan, a modern temple with a most unusual reclining Buddha, is about 20km from either Nang Rong or Phanom Rung. Actually the temple is dating back to the Dvaravadi period (7th to 12 century A.D.). This area was part of the Khmer power-sphere and Hinduism and Buddhism lived peacefully together. Although this peaceful temple has an ancient past, as evidenced by the 8th or 9th century Dvaravati sandstone boundary markers, it’s the modern constructions that make Wat Khao Angkhan worth a visit. 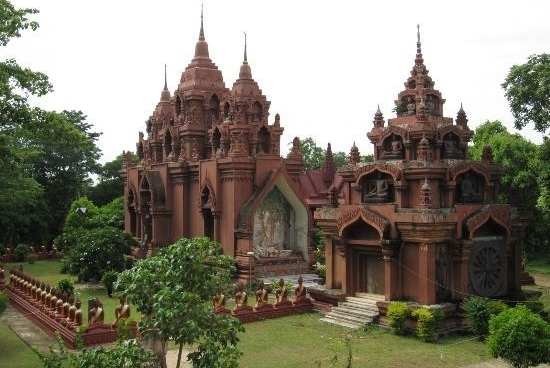 The bòht and several other flamboyant buildings were erected in 1982 in an unusual nouveau-Khmer style that sort of hearkens back to the age of empire. Inside the boht, the jataka murals, painted by Burmese artists, have English captions. The wat also hosts a Chinese-style pagoda, a 29-m reclining Buddha and beautiful views of the surrounding mountains. Inside the temple compound are ruins of ancient buildings and sandstone boundary markers which date back to the pre-Khmer Dvaravati period. 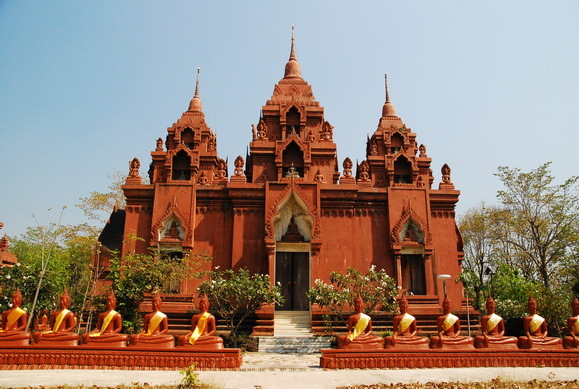 At present, it is one of the most beautiful and popular tourist attractions and one of the most significant temples in Buri Ram. The Ubosot, Sala (pavilion) and other buildings present various architectural styles. Wat Khao Angkhan represents an interesting mixture of architecture from various periods. Inside the main building are wall murals and stories of Buddhism told in English and the ordination hall was surrounded by Buddha images. Many Dvaravati sandstone temple boundary markers, which have rarely been found in the northeast, have been discovered here. 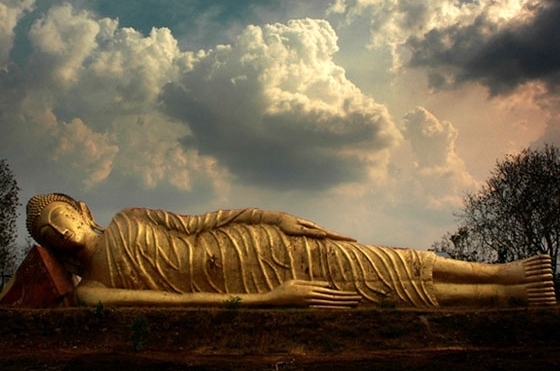 Furthermore, on the massif of Khao Angkarn is a huge reclining Buddha image. The route is pretty well signposted, but if you’re driving you’ll have to ask directions at some junctions. 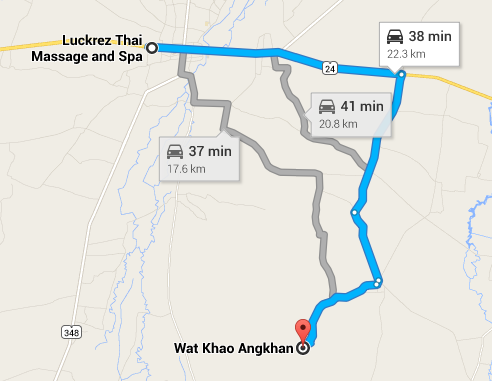 A motorcycle taxi could cost as little as 300 Baht from Nang Rong.